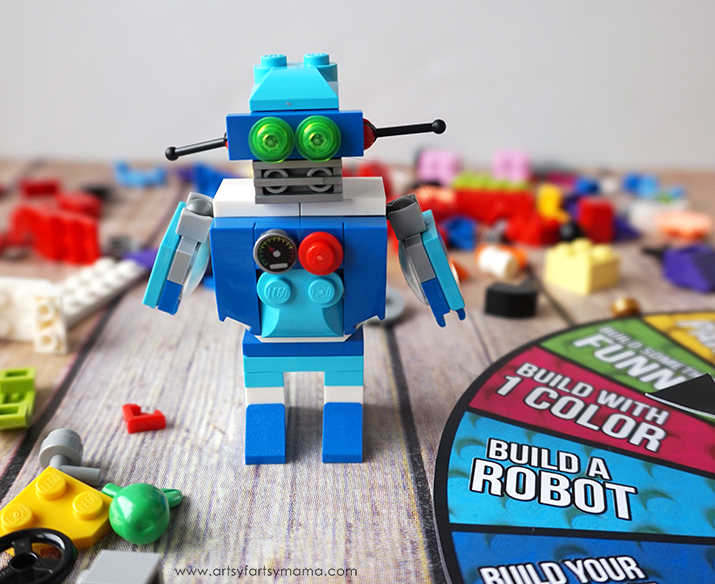 Encourage creative building with this Free Printable LEGO Challenge Game! This post is sponsored by LEGO and contains affiliate links. As always, all opinions are my own. 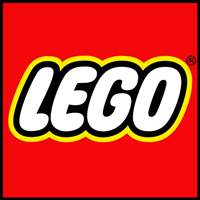 LEGO just celebrated their 60th anniversary! 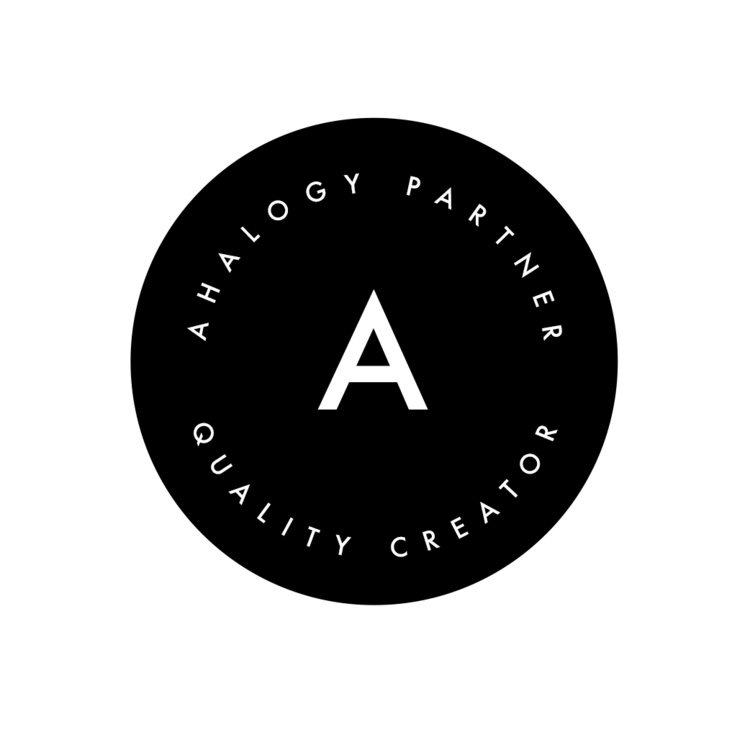 That's a big milestone, so we wanted to celebrate along with them. 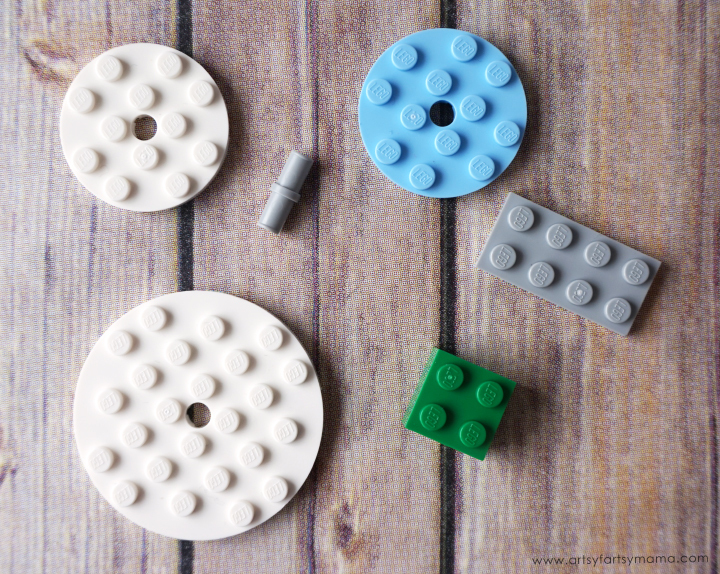 This free printable LEGO Challenge Game is a new way to allow for open-ended creative play. 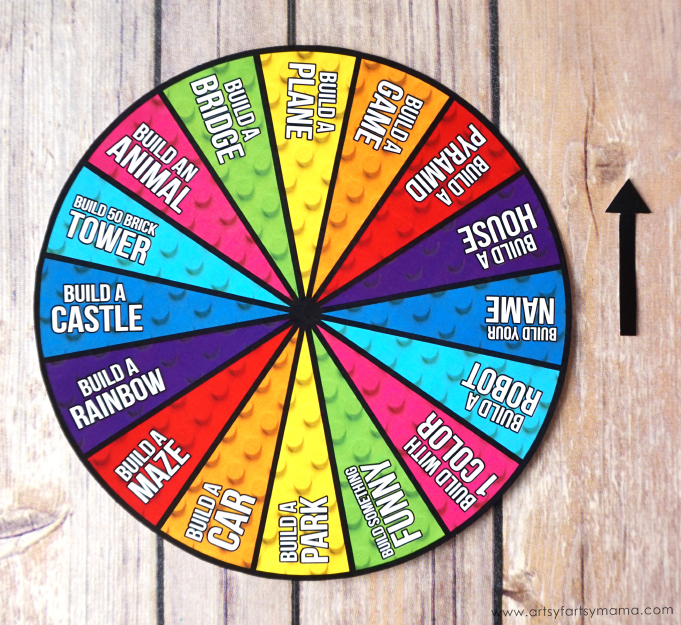 Just spin the wheel and follow the prompt for inspiration. Whatever you can imagine, you can build, rebuild and play with all day. Small bricks can inspire big ideas! What can make the world more fun? 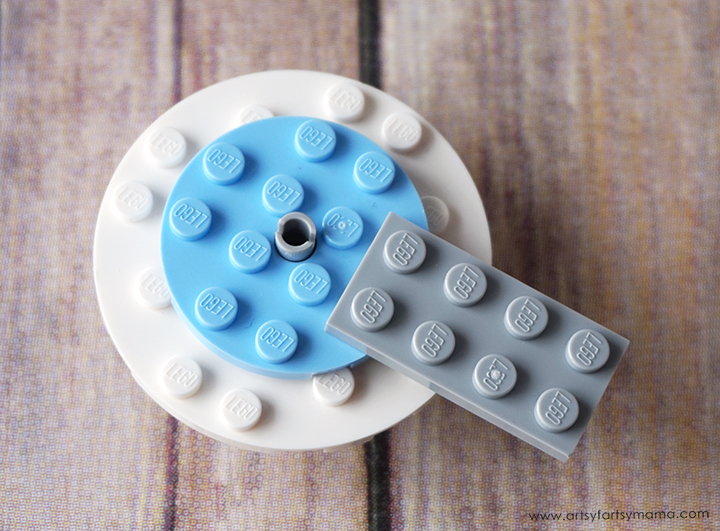 Create the answer in LEGO bricks! With the special edition LEGO® Classic World Fun set, you can explore an underwater temple and discover its secrets, before you hop in your helicopter and take off for new adventures. 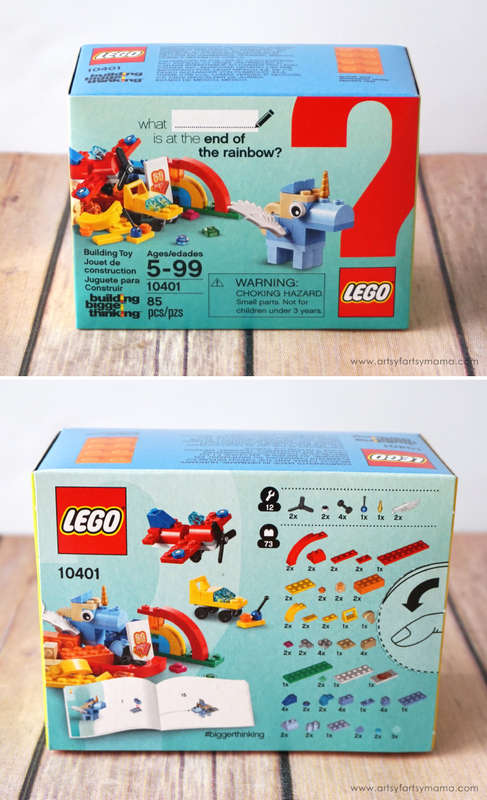 This 295 piece set includes a trident, pair of flippers, helmet, walkie-talkie, camera, map, flying helmet, chicken leg, glass, ice pop, fish, snake, 2 minifigures, plus a special edition tile celebrating 60 years of the LEGO brick! How will robots help us in the future? 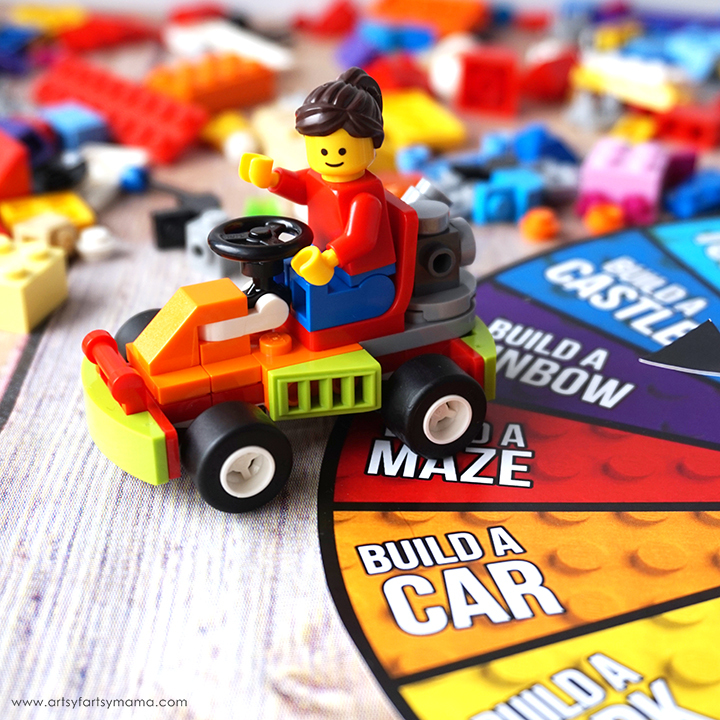 Use the special edition LEGO® Classic Fun Future set to explore the joy of creating with LEGO bricks and construct a robot to help with chores, or create the fastest go-cart around and zoom off to the races. There are 186 pieces including wheels, shapes, eyes, a minifigure, plus a special edition tile celebrating 60 years of the LEGO brick! What is at the end of the rainbow? Celebrate the fun of creating with LEGO bricks in the special edition LEGO® Classic Rainbow Fun set! This set features a mix of bright and colorful LEGO pieces that allow for open-ended creative play. 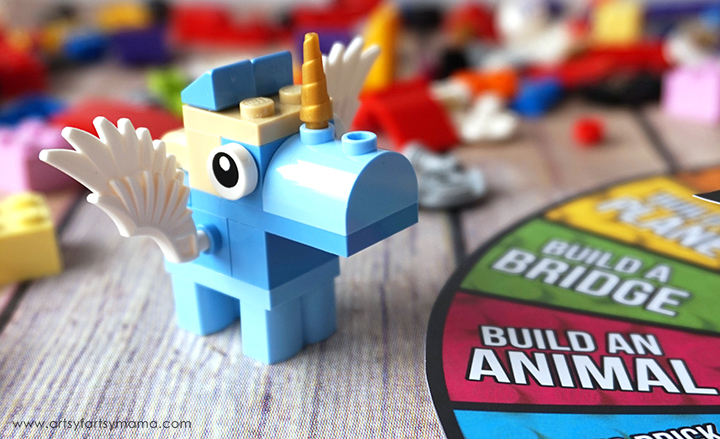 Build a brightly colored plane and take to the skies, or stretch your imagination and create a new, fantastic creature. 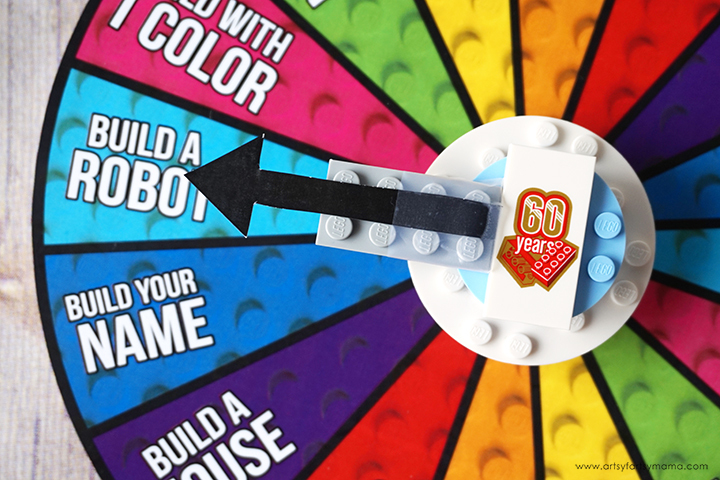 There are 85 pieces including wheels, shapes, eyes, plus a special edition tile celebrating 60 years of the LEGO brick! 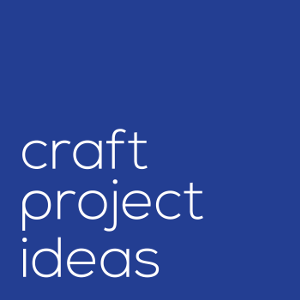 There are 16 creative ideas for you to build when you play the game. 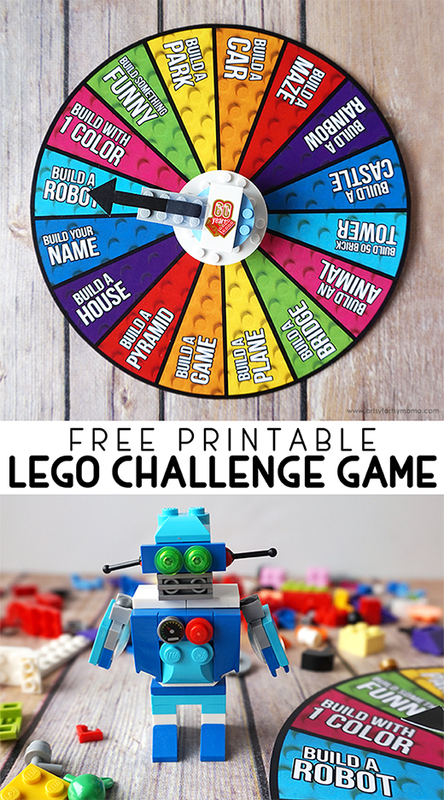 For best results, print out the LEGO Challenge Game on cardstock. Cut out both the wheel and the arrow. 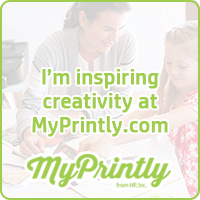 To get more life out of it, the pieces can be laminated and/or mounted on cardboard. Punch a small hole in the center of the board and at the straight end of the arrow. Use a brad to connect the two to be able to spin the arrow. 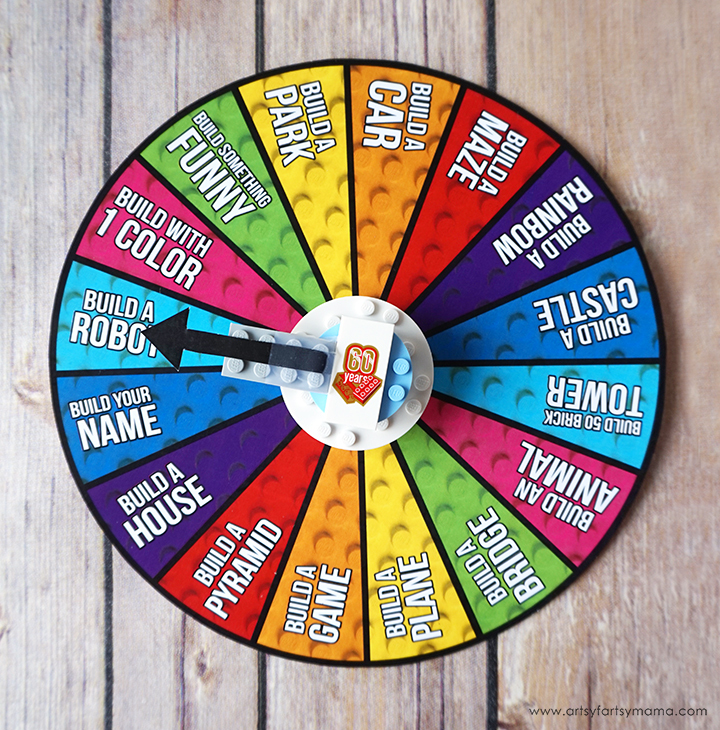 If you don't want to punch a hole and attach a brad to the game board, you can build your own spinner! 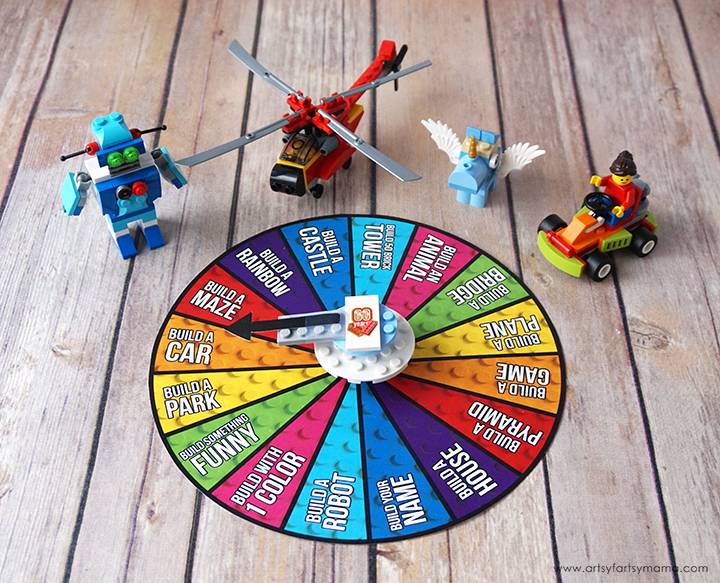 My daughter was so helpful in finding pieces and had a lot of fun building the spinner for the game. When you build yours, you can use any colors you want! 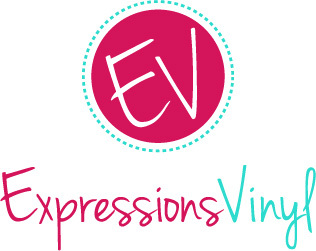 Have fun with it and get creative. First, push the connector peg through the hole of the 6x6 round plate. Press one of the 4x4 round plates into place underneath the 6x6 round plate, with the connector peg through the hole. 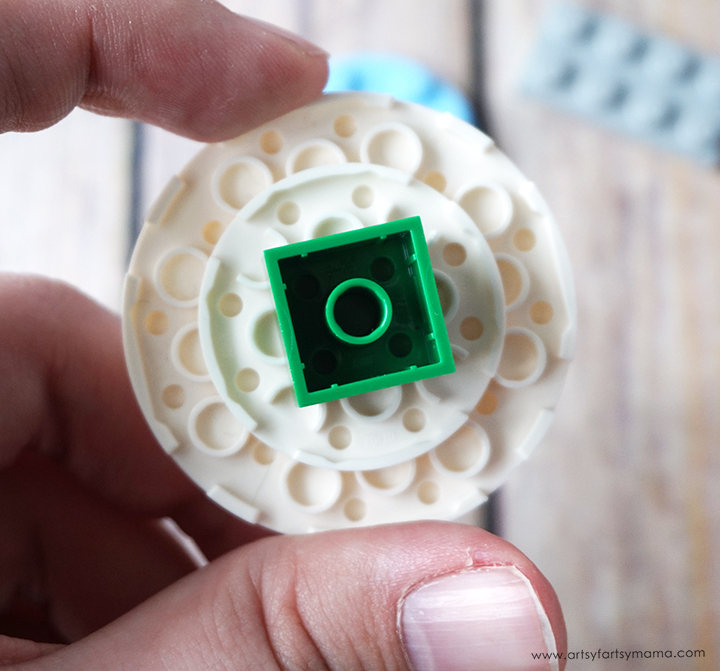 To lift the spinner on the board and to keep the connector peg in place, we connected the 2x2 brick underneath the 4x4 round plate. Set the connected round plates aside. Place the 2x4 plate on one end of the remaining 4x4 round plate. 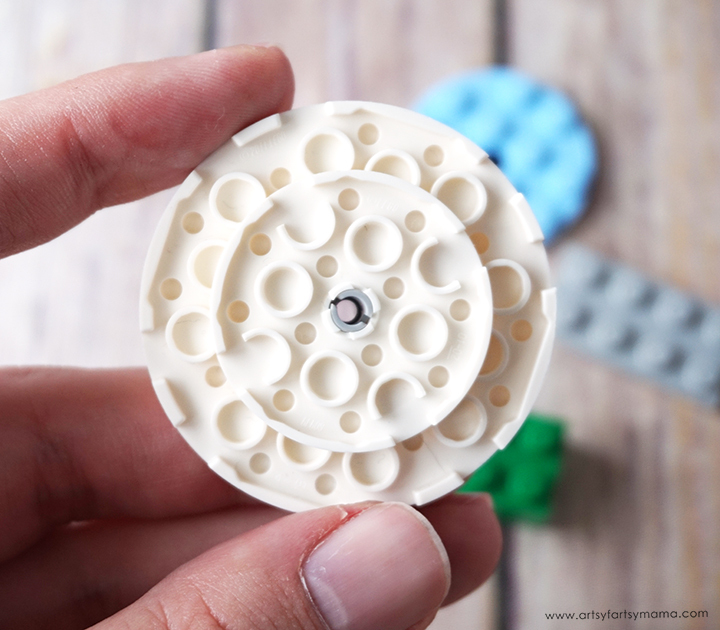 Push the top of the connector peg through the 4x4 round plate hole, but don't connect the round plates. 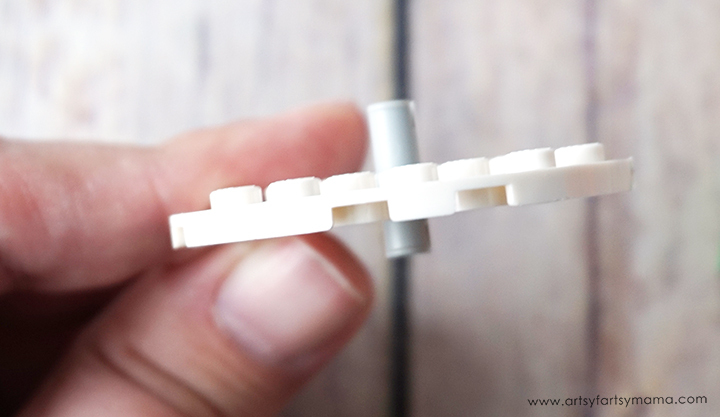 While holding the 2x2 brick at the bottom, tap 2x4 plate with your finger and watch it spin! 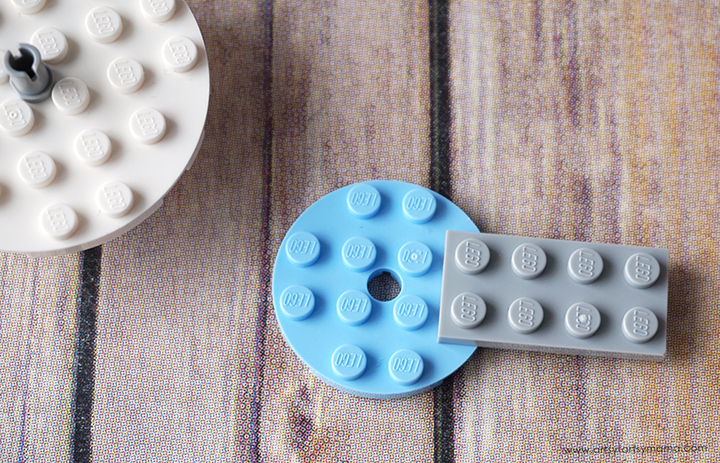 For a finishing touch, we placed the special edition 60 years of LEGO tile over the center of the round plate and attached the printed arrow over the 2x4 plate with tape. When the spinner is placed on the game board, it looks like it was made to be there all along! Now the game is ready to play! Tap the 2x4 plate to spin the arrow. 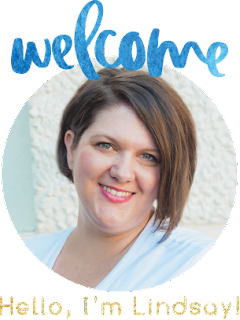 Once it stops, the arrow will be pointing to 1 of 16 creative options for open-ended creative play! If it lands on a line, spin again or come up with your own rules for playing. 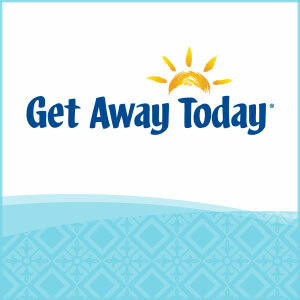 You can also play as a group, time yourself, or make it a contest. No matter what you choose to do, the entire point of the game is to challenge yourself to get building! My daughter played a few rounds and wanted to show off her work for you all to see! Her first challenge was to build a robot. 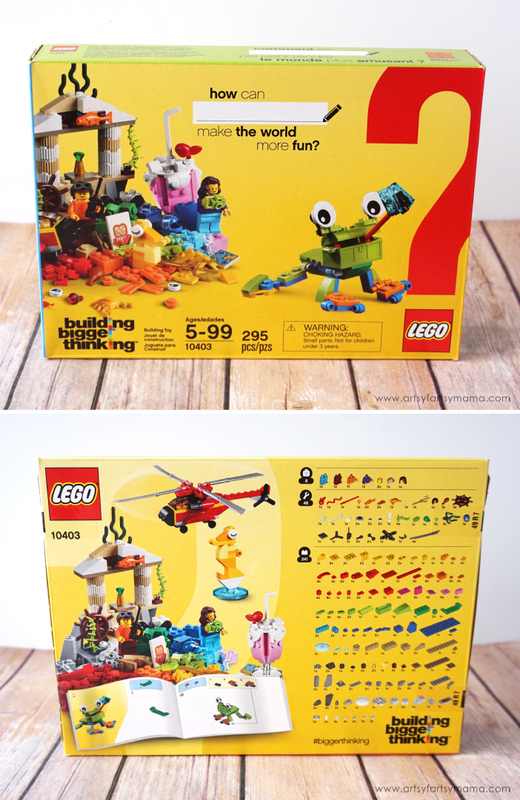 The LEGO® Classic Fun Future set included building instructions, so she was excited to open up the new set and put it to the test. The instructions were easy to follow and she had fun building it. 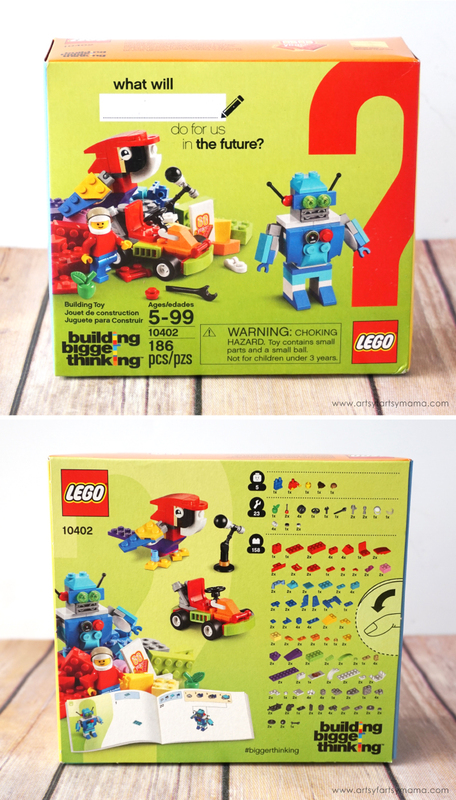 The car instructions is also from the LEGO® Classic Fun Future set. It was a fun build, and the minifigure fits perfectly. The car moves surprisingly fast! Next time, my daughter and I are both going to build cars and race them to see which one is the fastest. Last, but certainly not least is the helicopter. It's technically not a plane, but it flies and that's really what counts. These instructions are found in the LEGO® Classic World Fun set, and while they were easy to follow, it was a little more challenging of a build. One of the best things about this game is that is sparks that creativity and open-ended play that all kids need. 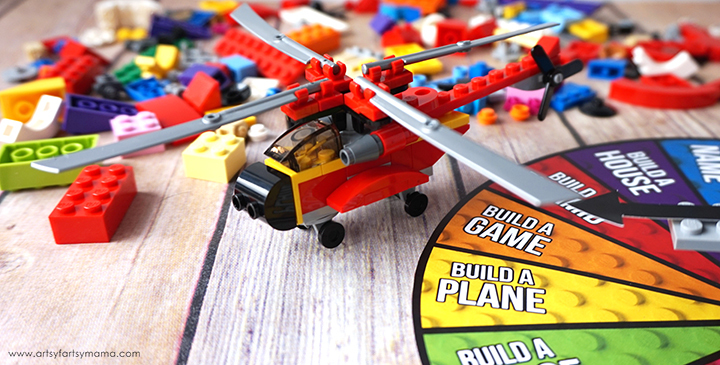 Visit the LEGO shop to find all kinds of LEGO sets to play the game with. 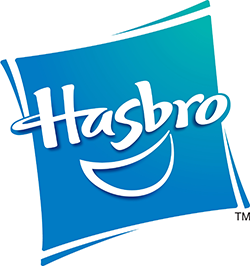 Be sure to watch for the other special edition 60th anniversary sets: LEGO® Classic Ocean's Bottom, the Walmart exclusive LEGO® Classic Limited Edition: Bricks on a Roll, and LEGO® Classic Mission to Mars! 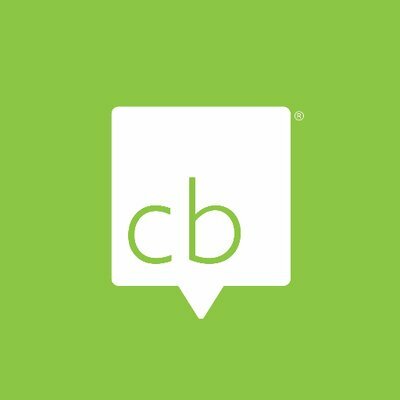 This is such a cool idea. My girls would love it.